Dr. Wiener is board certified in nephrology and internal medicine. He was awarded his medical degree from State University of New York Downstate in Brooklyn, NY. He completed his internship and residency at Kings County Hospital Center in Brooklyn. He then finished first-year and second-year renal fellowships at Mount Sinai Medical Center in New York, NY. He has a teaching appointment as associate clinical professor medicine, Chicago Medical School. Other appointments include chief, Section of Nephrology, Norwalk Hospital; medical director, DaVita Dialysis Center in Norwalk; and medical director of Norwalk Hospital’s Inpatient Dialysis Services. 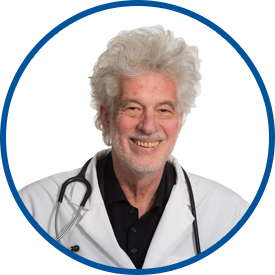 Previously, Dr. Wiener was in private practice for nephrology and internal medicine at Norwalk Medical Group since 1976. He received the Service Excellence Award, Norwalk Hospital Sub-Specialty Clinics in 2009 and was listed in “Top Docs”- Nephrology in Connecticut Magazine 2011-2017. Among Dr. Wiener’s professional memberships are the American Society of Nephrology, International Society of Nephrology and the International Society of Peritoneal Dialysis. Dr. Wiener's great. Been my primary care physician for 15 years. We love Dr. P. Weiner. He's fabulous !! We wish all of our doctors were like him. *Dr. Wiener literally saved my life. When I was in hospital. *Dr. Wiener is an outstanding care provider. Best I've had. Practise management is vastly improved since last year. Addition of scribe is big improvement. I feel *Dr. Wiener is a wonderful person and doctor - and demonstrates true interest in my medical condition.